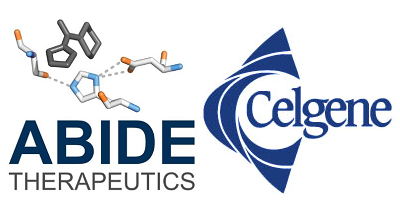 Abide Therapeutics and Celgene have announced that they will be collaborating to discover and develop drugs in inflammation and immunology. As part of the terms of the partnership, Celgene has paid an upfront fee, reported to be $50 million, and will obtain a small equity stake in Abide Therapeutics. The deal also provides Celgene with an exclusive option to acquire Abide. The agreement between the two companies focuses on Abide’s technologies to selectively target serine hydrolases, one of the largest enzyme families involved in regulating human physiology. Serine hydrolases play a key role in areas such as regulating CNS signalling, digestion, metabolism, inflammation, blood clotting, and life cycle of viruses and pathogens. If the development of these programs are successful, Abide confirmed that they may receive additional milestone payments from Celgene. Abide could also earn additional payments if Celgene chooses to license the rest of the world rights on the first two products that reach the clinic. Abide commented that they will apply their technology platform to target the more than 200 members of the serine hydrolase ‘superfamily’. Included in the partnership is the company’s most advanced compound, AB101131, which is expected to enter first human clinical studies in 2015. Abide have also confirmed that they expect to generate an additional three to four developmental candidates within the partnership.